Surface Technology, the leading specialist supplier of high performance surface treatments, has announced the appointment of John Millar as Sales Director. 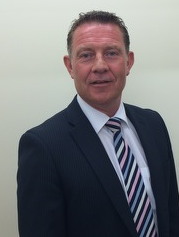 John started his career with British Steel as a metallurgist, before moving into sales and training roles in financial services in the 1990’s. Returning to the engineering industry, he has more than 15 years’ experience in senior sales roles within the precision engineering and surface finishing industries, joining Surface Technology in 2011 and progressing to Sales Director this summer.